One hole either end for fitting. Holes are generally slightly oval to allow some adjustment. Thread through the wire fencing and bolt to angle iron or the fixing post with roofing bolts or coach screws. 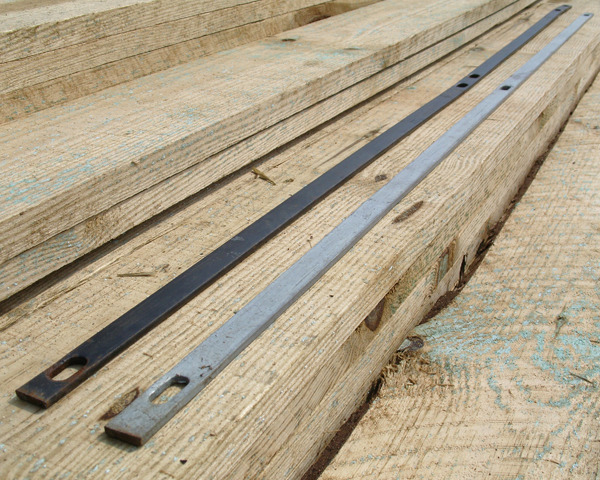 Sizes - Suitable for chainlink fencing ranging from 0.91 metre (3ft) to 2.10 metres (7ft approx). Colours - Finished either Black (painted) or Galvanised.